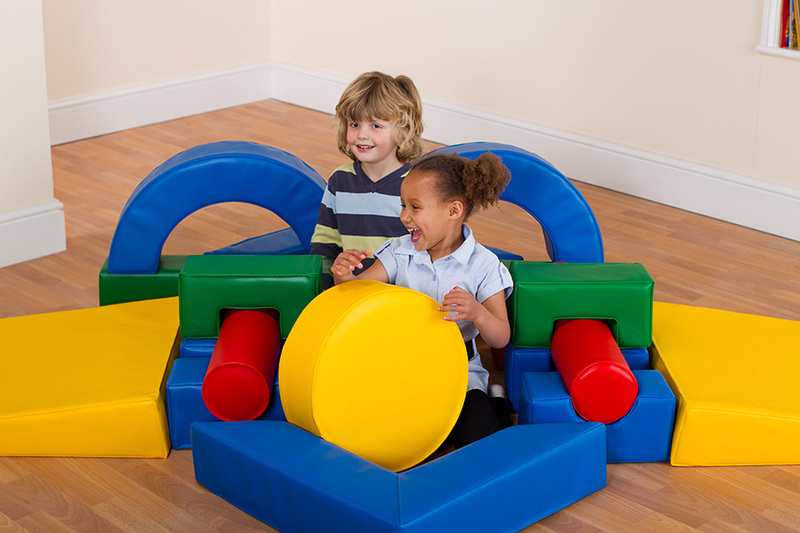 Childrens Soft Play Shapes are a set of cleverly designed blocks which allow children to create a wide range of role play constructions and circuit courses. Designed for use in pre-schools and nurseries to help early years’ children learn, build, balance, explore and have fun climbing safely. 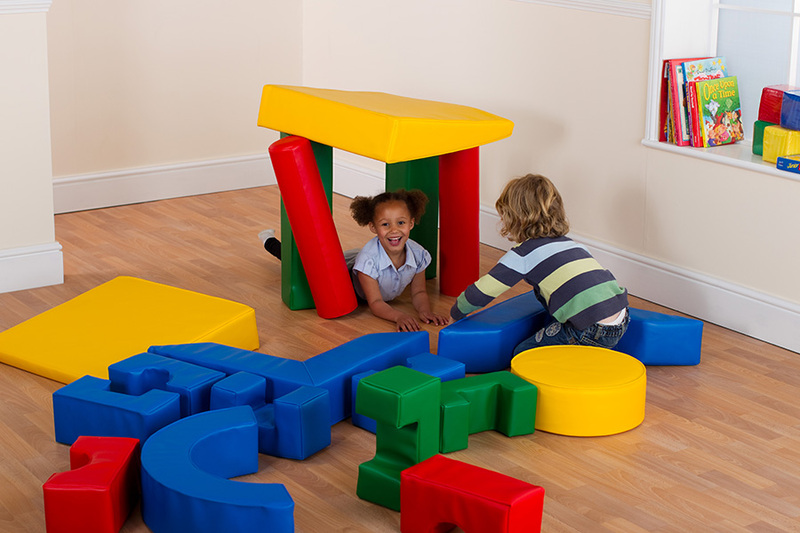 The soft play activity set includes 19 brightly coloured shapes which are made using a dense foam and covered with a soft touch vinyl. The easy clean vinyl covers feature a reinforced, close-stitched seam for longevity, and ensure the covers are not removed. Complete with a holdall bag which allows the entire soft play set to be stored neatly away making it easy to store and transport.